Your dog's world is full of new scents, sights and adventure. Along with these new experiences come plenty of dangers, too. These potential hazards are enough to make a dog owner completely paranoid. Fortunately, there are things you can do to help keep your dog healthy and safe. Exist more cases of pet poisoning in the U.S. Many of these were caused by household substances that may seem perfectly harmless to you. But just because something is safe for people doesn't mean it won’t hurt beloved pets. Some of the most dangerous dog poisons are foods and medications we take on a daily basis. Dog poison No. 1: Prescription medications for people. Drugs that might be beneficial or even lifesaving for people can have the opposite effect in pets. And it doesn’t always take a large dose to do major damage. Ingestion of any medication not specified for that individual pet is reason to go see a veterinarian. The drugs listed below are some of the more dangerous substances for pets, but any ingestion of human medications should be investigated. Human supplements, nutraceuticals or herbal remedies that haven’t been recommended. These usually contain organophosphates and carbamates which are highly toxic to dogs. Signs of ingestion include vomiting, diarrhoea, hypersalivation, muscle tremors and seizures. Ingestion of insecticides and pesticides, especially those that contain organophosphates (e.g., disulfoton, often found in rose-care products), can be life-threatening to dogs, even when ingested in small amounts. Dog poison No. 3: Over-the-counter medications. Dog poison No. 4: Pet medications. Just as we can be sickened or killed by medications intended to help us, cases of pet poisoning by veterinary drugs are not uncommon. Some of the more commonly reported problem medications include painkillers and de-wormers. Dog poison No. 5: Household products, from cleaners to fire logs. Phase 1 includes a drunken appearance which occurs within 1 hour of ingestion. Phase 2 is heart failure which occurs within 12-24 hours of ingestion. Phase 3 is renal failure, vomiting, depression, renal pain, hypothermia, coma and death. Dog poison No. 6: People food. 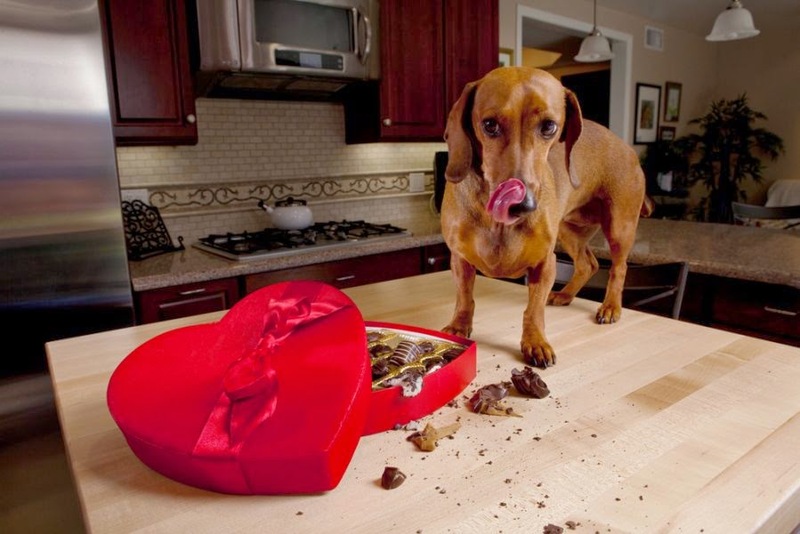 Your canine companion may look so cute as he sits there begging for a bite of your chocolate cake or a chip covered in guacamole, but not giving him what he wants could save his life. Animals have different metabolisms than people. Some foods and beverages that are perfectly safe for people can be dangerous, and sometimes fatal, for dogs. Nicotine poisoning acts very quickly and can be fatal, especially when large doses are involved. E-cigarettes and refills can easily contain sufficient quantities of nicotine to kill a small animal very quickly. If you use e-cigarettes, we recommend storing all equipment safely out of reach of your pet. If you suspect your pet has chewed or eaten an e-cigarette or any toxic substance then it is vital that you contact a vet for treatment as quickly as possible. Dog poison No. 8: Plants. Other plants: Autumn Crocus, Cyclamen, Dieffenbachia, Hyacinth, Kalanchoe, Lily, Oleander, Foxglove, Compost, Mushrooms. Dog poison No. 9: Mouse and rat poison – rodenticides. Dog poison No. 10: Lawn and garden products. Fertiliser products generally contain varying amounts of nitrogen (N), phosphorous (P) and potassium (K) compounds. They may be in liquid, granular or solid form and contain additives such as herbicides, insecticides and fungicides. Since fertilisers are usually a combination of ingredients, the effects of ingestion may vary. In general, they cause mild to moderate gastrointestinal irritation which may present signs such as vomiting, diarrhoea, hypersalivation and abdominal pain. Symptoms can be more severe if a larger amount is ingested and they may also be caustic, causing irritation of the lining of the gastrointestinal tract. 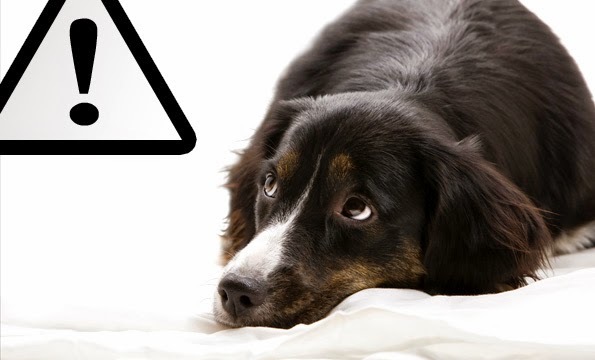 What to do if your dog is poisoned? Don't panic. Rapid response is important, but panicking can interfere with the process of helping your pet. Take the time to safely collect and have at hand any material involved. This may be of great help to your vet, as they determine what poison or poisons are involved. Also, collect in a sealable plastic bag any material your pet may have vomited or chewed. If you witness your pet consuming material that you suspect might be toxic, do not hesitate to seek emergency assistance, even if you do not notice any adverse effects. 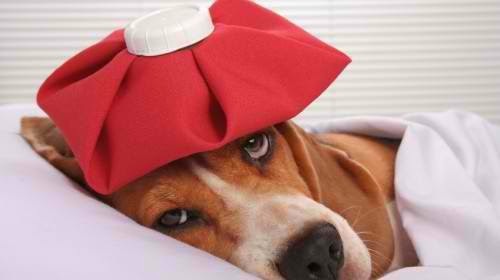 Sometimes, even if poisoned, an animal may appear normal for several hours or days after the incident. Do not try to make your dog vomit unless instructed to do so by your veterinarian.